Oregonians for Medical Freedom – Who cried wolf in Oregon? If you haven’t yet heard of Senate Bill 442–3 here in Oregon, you probably will very soon. The bill, sponsored by State Senator Elizabeth Steiner Hayward, is sitting in the Oregon Legislature’s Senate Committee on Health Care and, if passed in its current form, would do something best described as “draconian”: it would remove all philosophical and religious exemptions from parental choice to vaccinate, effectively mandating vaccines and full compliance with a 23 shot schedule for any Oregonian who wants to send their children to school. Two states in the union do this today, Mississippi and West Virginia, and the bill sponsors hope Oregon will be the third. If you are expecting some anti-vaccination rant, you’ve come to the wrong place. Vaccines are incredibly important to public health. They have saved millions of lives. The authors of this article have vaccinated their own children. However, a mandate to vaccinate in full compliance with a schedule the state sets and can add to at anytime is taking things too far, in our opinion, and we strongly oppose this bill. Parents simply must have the final say in the medical care of their children, no matter what and in 100% of the cases in a free society, and we feel this bill is a genuine infringement on the civil rights of all Oregonians. How dare these bill sponsors give the legislature the permanent right to keep adding vaccines to the schedule and making parents give them all to their children without any discretion? “Record low VPDs” (Vaccine Preventable Disease)? “Achieved and sustained high childhood immunization [rates]”? This doesn’t sound like Oregon has an emergency. 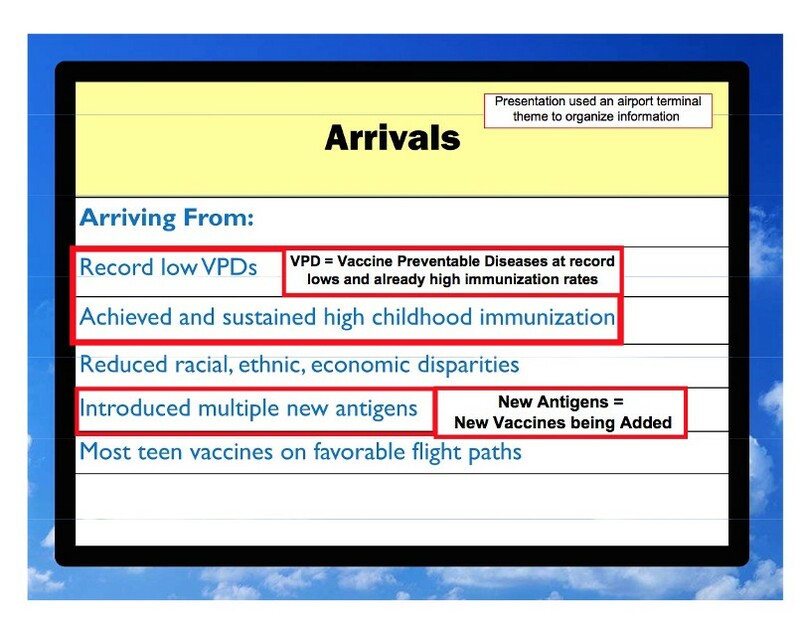 Really, the presentation was and is very accurate: Oregon is doing a great job of immunizing its children and the lack of any outbreaks of VPDs supports this. Who cried wolf here in Oregon? The regular effective date of a measure is January 1 of the year following passage of the measure. Some measures may contain a provision, such as an emergency clause, that specifies an earlier effective date. SB442–3 has an emergency clause and it would take effect immediately. Which got us to thinking—where did the trigger for this bill come from, what agency or group sounded the alarm? The Oregon Health Authority tracks, manages, and encourages immunizations. It seemed most obvious that they must have been behind SB442–3, so we reached out to them to find out what they knew that all Oregonians should be aware of and why this “emergency” measure is so important. Perhaps they are seeing a disease outbreak that hasn’t been reported? Perhaps vaccination rates have dropped off a cliff somewhere? We also wondered how they felt about SB442–3 not including teachers—it seemed like the concerns around herd immunity rang hollow if teachers weren’t also mandated to get fully vaccinated. The sponsors of SB442–3 have stated repeatedly that parents signing vaccine exemptions in Oregon are not watching a module they are required to watch. We presumed OHA had the data to prove this lack of viewership. Could they share the data with us? We are writing an article for medium.com and on deadline to do it. We had a few quick questions for Oregon Health Authority regrading Senate Bill 442–3 that would eliminate philosophical exemptions and religious exemptions from vaccines. Did OHA initiate this legislation? Was OHA seeing an uptick in disease or material change in immunization rates to trigger the bill? If so, can you direct us to corroborative data? Does OHA believe teachers need to be added to the bill? Can herd immunity be maintained if teachers/admin/adults in a school setting not up to date on vaccinations? The bill sponsors have talked about how the current vaccine program in Oregon isn’t working and that parents are not watching the modules on the computer. Does OHA have data to support this claim? Thank you very much. Happy to call if that is more efficient. OHA Communications forwarded me your request, as I handle all media inquiries for the OHA’s Public Health Division. All questions about Senate Bill 442 should go to the bill’s sponsor, Senator Steiner-Hayward. We’re writing an article for Medium.com about Senate Bill 442–3 currently proposed by Senator Elizabeth Steiner Hayward. The bill would remove all philosophical and religious exemptions from vaccine mandates, so that if a child received anything less than the 23 shots mandated by Oregon, they would be ineligible to attend public or private school. We’re curious if the superintendent has taken a position on the legislation? Was he the one who sounded the alarm for the need for this legislation? Trying to understand where the information used to create this bill came from? If there is no official position on the bill, we’d still welcome some background on the bill and/or any perspective you could provide us with. This bill was not initiated or driven by ODE and as I mentioned earlier, we have not taken a position on it. This is an issue that is of particular interest to Senator Steiner Hayward and she would be best able to speak to the background, context, and purpose of the bill. I would recommend contacting her office directly if you have not already done so. Hard stop. We now know who cried wolf. Perhaps the question to answer in our next post will be, “why”? 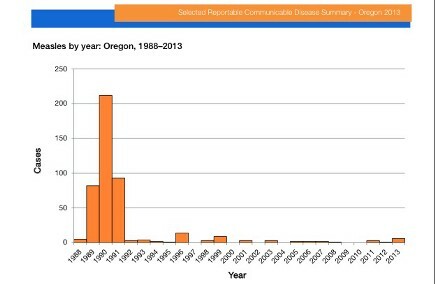 **For the companion article to this, please read: The Truth About Oregon’s Vaccination Rates and Senate Bill 442–3 This article contains considerably more data from the Oregon Health Authority and CDC.